In January 2014, Minnesota law began requiring sellers to disclose any known radon test results in the home to all potential buyers as well as providing state documentation on the facts and risks of radon. 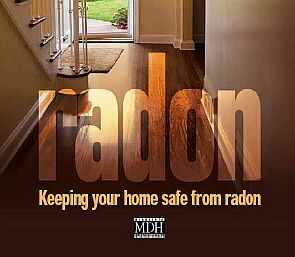 Radon is known as the “silent killer”. It is an odorless, tasteless, invisible gas that causes lung cancer and health issues to people across America and Minnesota is no exception. How does Radon affect you and your family? The Surgeon General states that radon is the second leading cause of lung cancer in the U.S. Health risks dramatically increase in persons whose homes contain high levels of Radon. Radon is continually released from the ground into the air, which quickly disperses, causing little to no harm to individuals. The danger occurs when the gas is released from the ground into your home and is trapped in the home’s interior in concentrated amounts.